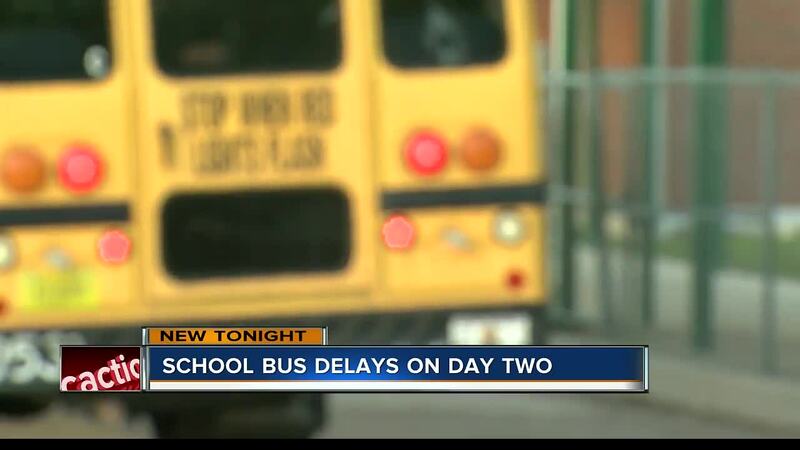 POLK COUNTY, Fla. — Parents should expect school bus delays for the next two weeks. In an early morning press conference, Polk County Public School said the bus driver shortage caused 85 buses and 110 routes to be late Monday Morning. The afternoon count, not as bad with at least 40 buses running behind. At last check, there are 62 bus driver positions still open. The superintendent, Jacqueline Byrd, tells ABC Action News 17 applicants began training for the positions on Monday. Byrd also said if the transportation department needs to continue training on the weekend, they will do so. Polk County School District leaders are now asking anyone with a commercial drivers license to apply. In the meantime, district leaders are now asking parents to drive their kids to school if possible because there will likely be delays in the first few weeks of class. Parents like William Hall took the warning seriously. 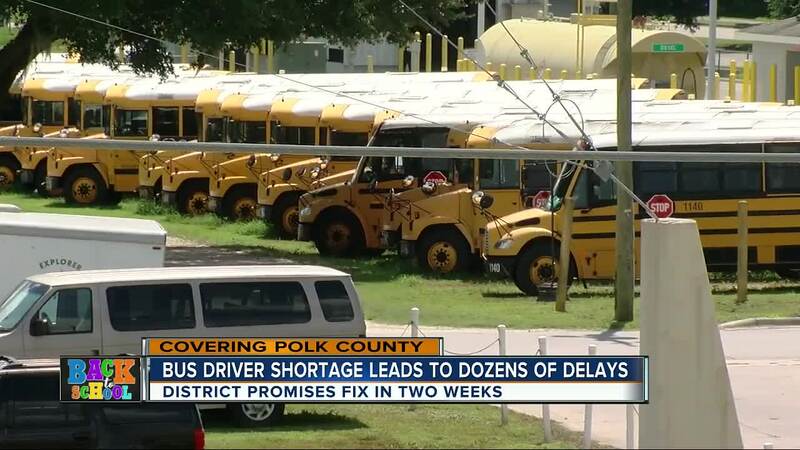 "Planning on being here like the first month anyway until it kind of smooths out," Hall said he's not frustrated with the delays because Polk Schools gave fair warning, but is concerned with the district's ability to hire enough drivers in time. "You gotta deal with it." Some parents say while they aren't happy about the situation, they are working to figure out a temporary solution. "We're actually thinking about maybe carpooling until they get the buses straightened out," said Marian Ayala, a Polk County parent. District officials now say this is the largest bus driver shortage they've ever experienced for back to school but hope to have the issue resolved in the next two weeks. This comes as some Polk County students may not have access to their schedules. Polk County Schools says it's currently transitioning to a new student information system called Focus. This means the parent portal and student portal will have limited functions and grades and student schedules may not be immediately available until a few weeks into the school year.